“I say, I wonder what's going to happen exciting today?” said Piglet. 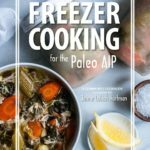 Are you starting the Paleo Autoimmune Protocol today? Otherwise known as the AIP? Two years ago on January 1, 2013, I started the AIP and it transformed my health. There's something about the “fresh start” feeling of a new year that helps a lot of us jumpstart a big change. I have good news for all of you who are doing that today: a cookbook to make that change much easier. 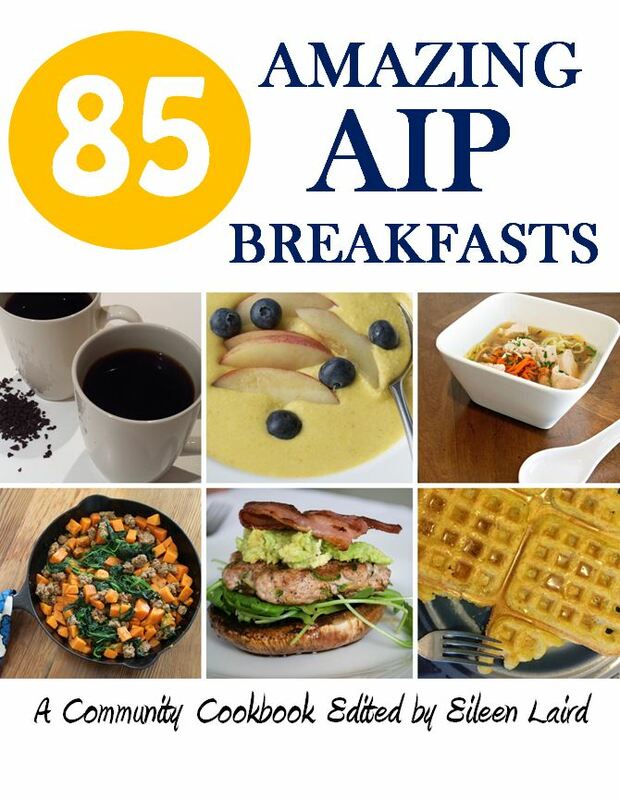 For those of you who are AIP veterans, this cookbook is here to spruce up your mornings and bust through breakfast boredom. What On Earth Can I Eat For Breakfast? 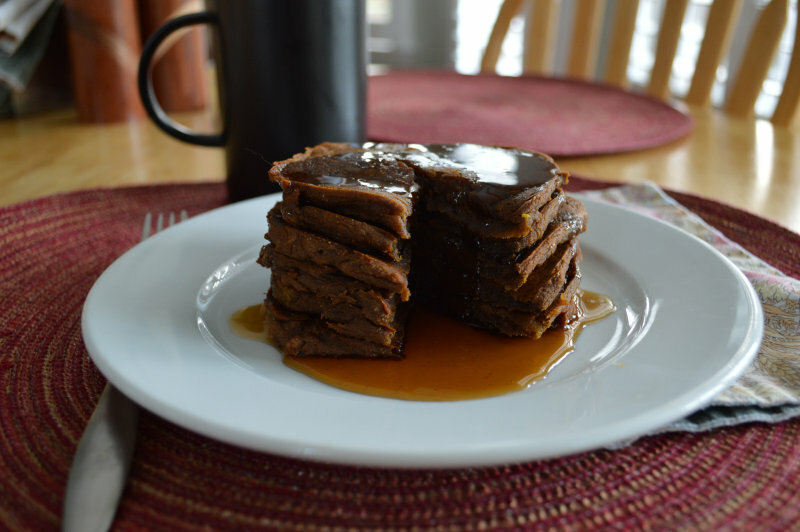 85 Recipes in the Following Categories: Beverages, Bowls, Soups, Skillets, Patties and Pancakes. To get your taste buds tantalized, here are a few examples: Herbal “Coffee”, Ginger Peach Smoothie, Creamy Grain-Free “Porridge”, Sweet Potato Beef Curry, Roasted Vegetable Chicken “Noodle” Soup, Thyme Blueberry Pork Patties, Plantain Waffles, and more. 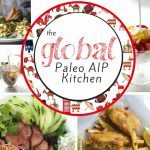 Paleo Approach Approved: What does that mean? Sarah Ballantyne is the leading expert on the AIP, and she looks at AIP resources to make sure they follow the correct version of the protocol. Those that do receive the TPA badge, so you know you can trust the recipes. Special Diet Modifications: Over half the recipes in the book can easily be modified for SCD/GAPS, Low-FODMAP, Low-Histamine and Coconut-Free diets. We've included charts to make these modifications easier. 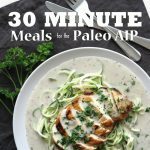 The Work of 26 AIP Bloggers: Every recipe in this book has been created for the AIP, by people who have followed the protocol to reverse their own autoimmune disease and reclaim their health. 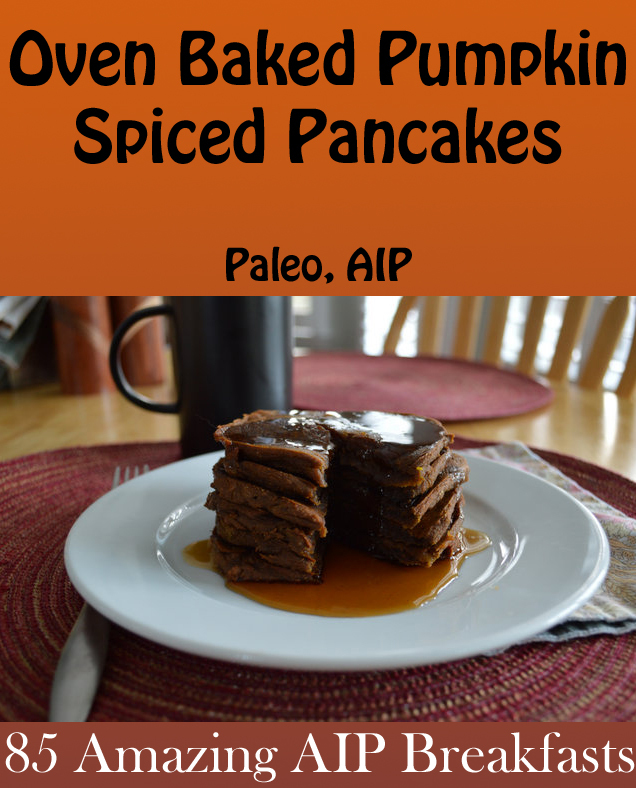 Edited by Me (Phoenix Helix): If you like my blog, you will love this cookbook. I spent the past four months making it the best it could be. Make six roughly equal size pancakes on the cookie sheet – spreading them out so that each one is about 1/4 inch thick. Ten winners were chosen with Rafflecopter on 1/8/15. They've all been contacted to receive their prize. If you didn't win, don't despair. 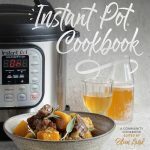 This e-cookbook is just $12.95 and worth every penny. You can purchase a copy here. We decided to celebrate the launch of this community cookbook by giving away 10 copies! It's easy to enter. Just click over to the purchase page, and answer the question in the Rafflecopter box. Since it's an e-cookbook, the giveaway is open to anyone in the world. The winners will be chosen randomly on January 8th, 2015. If you don't want to wait until then, you can buy it now for just $12.95.